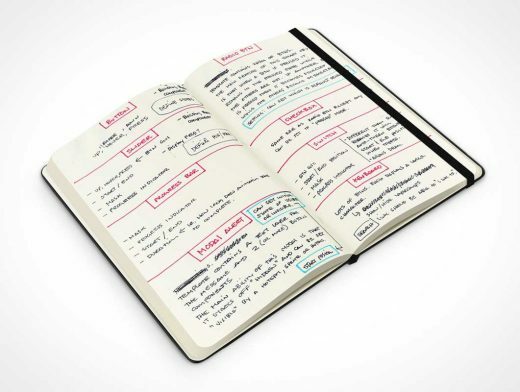 NOTEBOOK003 is an auto-generated mockup for simulating an open Moleskine notebook at 45°. This PSD mockup will render your 2D art material on a 45° view of a Moleskine positioned on a flat surface and open to the center of the book. The hardcover Moleskine is view from a 45° downward and has a removable stretch band which acts as a book mark. The cover the Moleskine is facing down and is therefore not visible in this mockup.